Jeanne Clery Disclosure of Campus Security Policy and Campus Crime Statistics Act (20 USC § 1092 (f)) requires colleges and universities across the United States to disclose information about crime on and around campuses. The University Police collects the Clery crime statistics disclosed in the following charts through a number of methods. 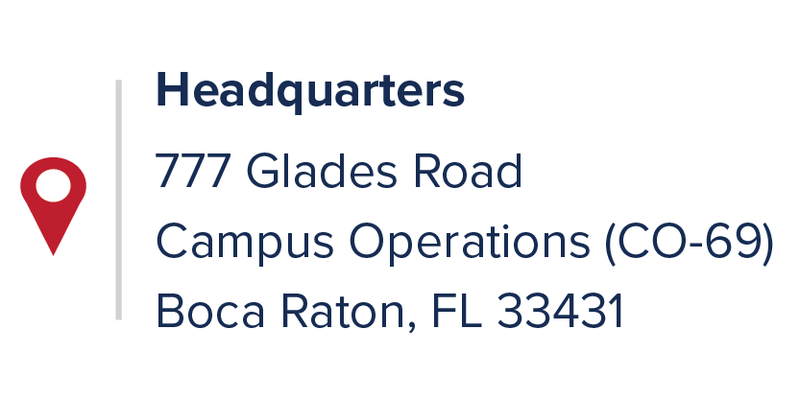 The University Police maintains a close relationship with all police departments where Florida Atlantic University owns or controls property to ensure that crimes reported directly to these police departments that involve the University are brought to the attention of the University Police. In addition to collecting Clery crimes from local police departments, all reports of crime incidents made directly to the University Police (through police dispatchers and officers) are entered into an integrated computer aided-dispatch systems/records management system. The entries are recorded in the system in accordance with the crime definitions outlined in the Florida Department of Law Enforcement Uniform Crime Reports Guide Manual and the FBI Uniform Crime Reporting Program Summary. To ensure each report is appropriately classified in the correct crime category, after a dispatcher or officer enters the report in the system, a Department administrator reviews the report to ensure it is appropriately classified. The Department also periodically examines data in the system for appropriate classification. 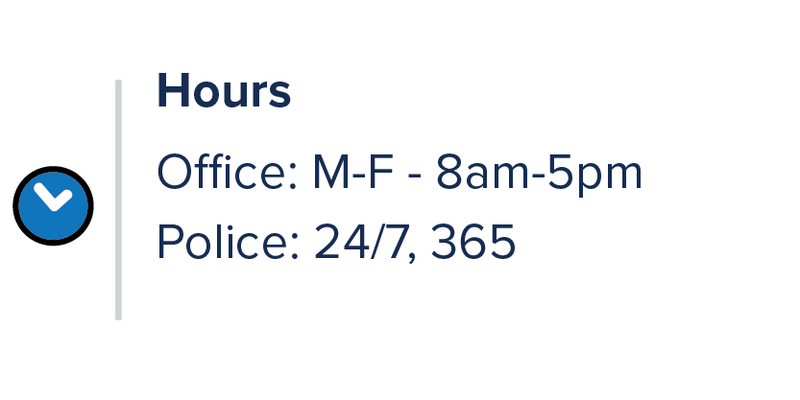 In addition to the crime data that the University Police maintains, the University collects Clery crime statistics of reports made to various campus security authorities, as defined in this report. The statistics reported in the following charts generally reflect the number of criminal incidents reported to the various campus security authorities. The statistics reported for the subcategories on liquor laws, drug laws, and weapons offenses represent the number of people arrested or referred to campus judicial authorities for respective violations, not the number of offenses documented. To view the 2017 Annual Security Report, click here. To view the 2017 Annual Fire Safety Report, click here. This report is produced and maintained by Florida Atlantic University Environmental Health and Safety . The Office of Postsecondary Education provides a tool that allows campus comparisons of select aggregated safety and security related data for the last three years. For more information, visit: http://ope.ed.gov/security/. The Florida Atlantic University Police Department provides annual crime statistics in compliance with the Jeanne Clery Disclosure of Campus Security Police and Campus Crime Statistics Act. 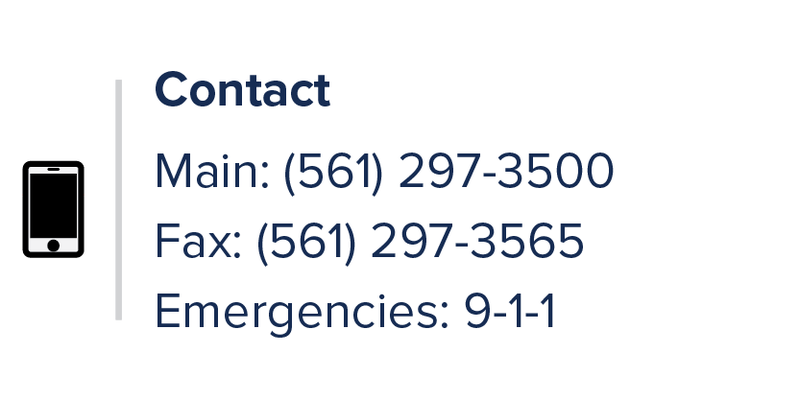 These statistics include reports from the University Police, other University officials and law enforcement agencies in areas surrounding the six FAU campuses and sites. Sexual Discrimination, Sexual Harassment, and Sexual Violence FAU Title IX Coordinators. For more information on Title IX, click here.